As we've always said, the big booths get all the attention, but it's the small ones that get all the fun. Here's a good collection of peripherals from the obscure little companies. 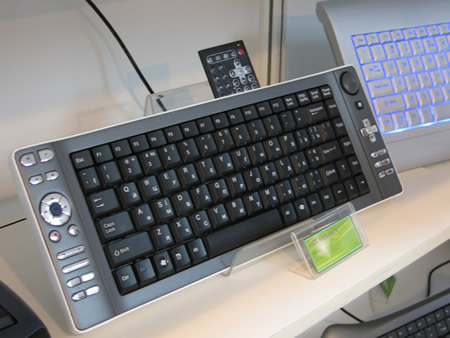 The KME keyboard above, for example, has a shiny cover that doubles as a palmrest when opened. Click on for more! 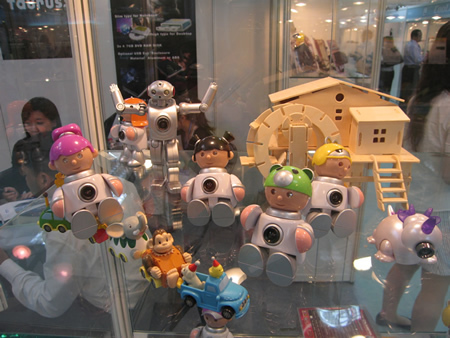 Uber-cute webcams by Aamax technology. There's a familiar looking one on the back? 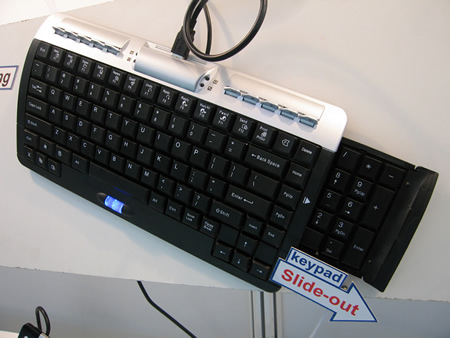 A keypad slide-out keyboard by EzKEY. But why? 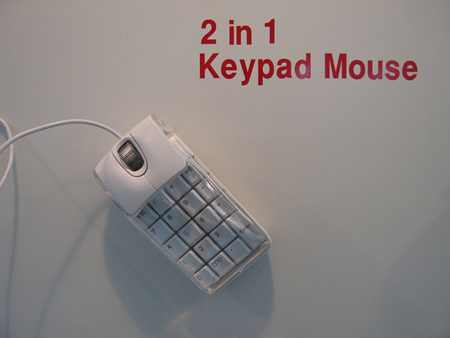 2 in 1 Keypad mouse. Now this makes a LOT more sense. A MCE keyboard by solidyear with a mini-remote tucked in. Now that's one flashy-cool keyboard on the background, how did I overlook it when I was on site? 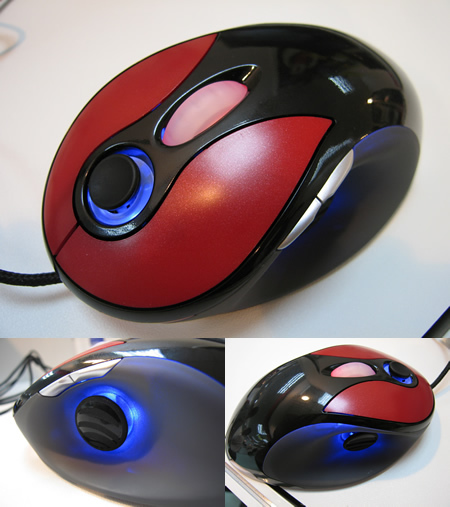 This weird looking mouse is the 6 degree of freedom 3D mouse by Sandio. 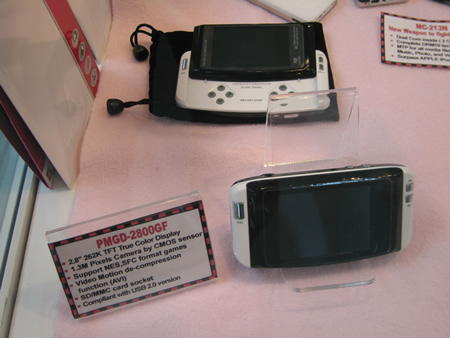 it has three small joysticks on the top, left and right to control movement and rotation of objects on all three axis. Now, as a long time PC gamer, I'll stick to my old 2D mouse just fine, but for people who'll have to deal with 3D modeling more often, this does look like a must-have tool. 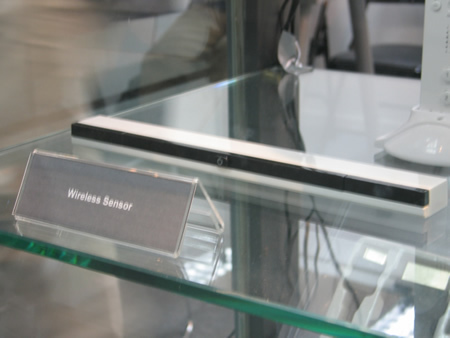 A Wii sensor that looks pretty much like the original one (at least more like the original then this one). A Vaio UX look-alike that lets you play NES / SFC games, works as a PVP, and even has a 1.3mp camera built in? Now what exactly is this?